After discovering a sacred stone in the mouth of a slain deer, Taibei, a young Tibetan wanderer, embarks on a mission of redemption in order to bring the divine artifact back to its rightful home, the holy mountain of Buddha. Danger and treachery await at every step, as black market traders and two brothers in search of vengeance stand in his path. Along the way, however, Taibei encounters a motley band of followers that help him on his strange and mystical journey. "Zhang Yang’s story of one bedraggled loner’s epic spiritual journey, is greatly enhanced by Tibet’s wildly diverse topography and the hard-scrabble peasants’ ability to adapt to the taxing environs. Beyond the movie’s Buddhist underpinnings, however, lie classic Western conceits that rival those of any director of genre fare, including Sergio Leone." 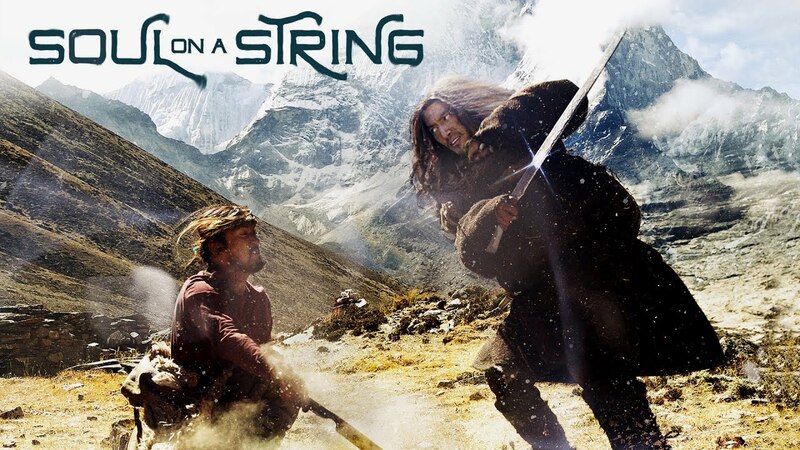 "A slow-simmering, Western-style action drama of blood feud, misfired machismo, and spiritual quest spread across Tibet's rolling steppes and scorching deserts... "
"In this panoramic masterpiece, Director Zhang Yang weaves a tale of revenge and destiny across the diverse lands of Tibet, creating a Buddhist Western of epic proportions..."